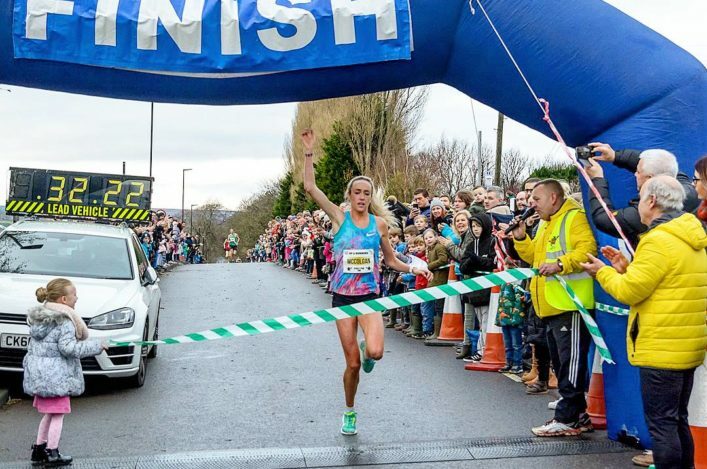 Olympian Eilish McColgan broke her own record to win the Percy Pud 10k race in Sheffield in a time of 32.23. Eilish revealed she almost had to pull out of the competition through illness, she said: ‘For the last two to three days I’ve had a head cold but I’d planned all along for this to be my last race of the year so I woke up this morning and said to myself I’m going to do this. Last month Eilish ran the second fastest 10k of her career to retain her title and break yet another of her own course records at the Leeds Abbey Dash. 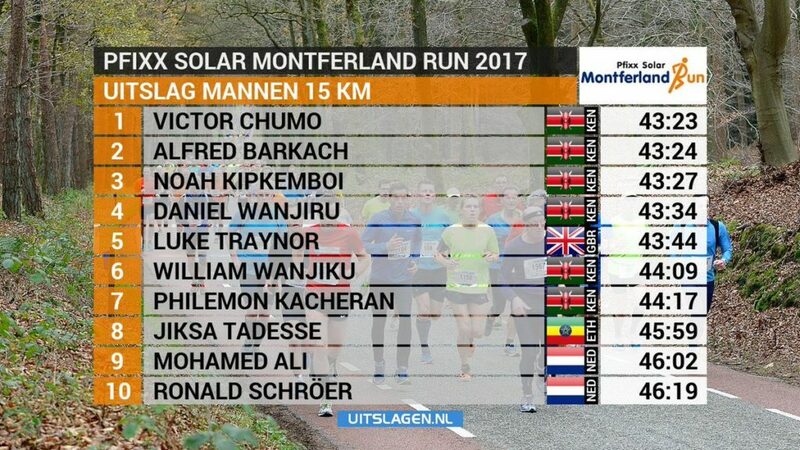 There was a fine performance by Luke Traynor in Holland yesterday over 15K at the Pfixx Solar Montferland Run. The Giffnock North athlete was fifth in a classy field in a time of 43.44 which once again underlines his progress on the roads over the course of 2017, which also saw a fine half marathon debut win in Manchester. Luke took a couple of fine scalps as he beat Kenyan and Dutch opposition and wasn’t too far adrift of the top three in the race, as the results photo shows above. 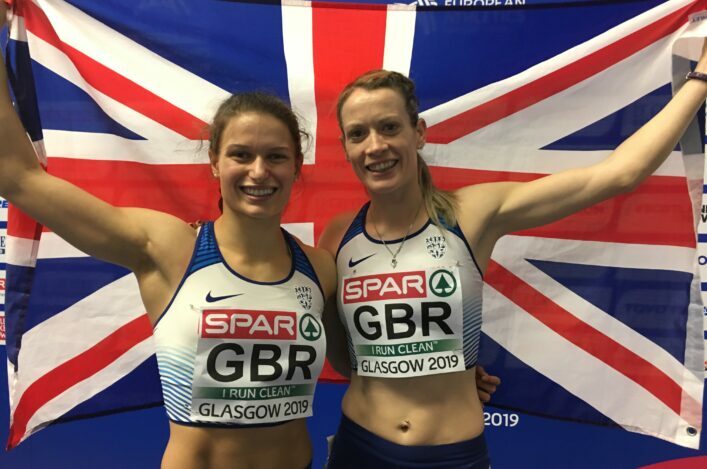 * At the Course de l’Escalade in Geneva, Steph Twell fine-tuned her preparations for the European Cross Country Championships next weekend with a fine third place finish on the cobbles in Switzerland. On a compact city centre course, the Aldershot athlete secured a podium finish, completing the 7.4K course in 24:02, just over ten seconds down on winner Helen Bekele. 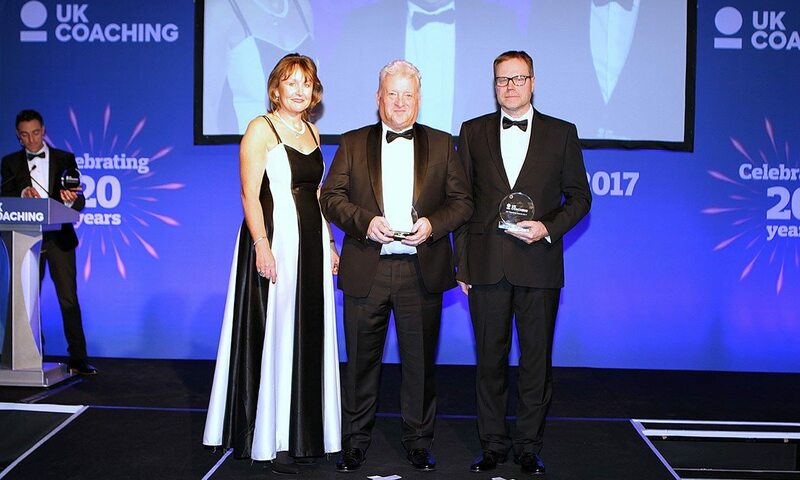 Stephen Maguire, former Director of Coaching with scottishathletics, was one of three coaches to jointly receive the High Performance Coach of the Year award at the 2017 UK Coaching Awards. Maguire, Benke Blomkvist and Christian Malcolm helped the GB men’s 4 x 100m team to gold at the IAAF World Championships in London – and jointly received the award. After coaching the women’s 4 x 100m and 4 x 400m teams to bronze medals at the Rio Olympic Games, the successful trio worked with all the relay squads to make history at the World Championships in the UK capital, with all four teams winning medals and Chijindu Ujah, Adam Gemili, Danny Talbot and Nethaneel Mitchell-Blake taking gold. Maguire (pictured above, centre), head of Sprints, Hurdles and Relays at British Athletics, said: ‘We are delighted to accept this award on behalf of the whole team effort that resulted in relay success at the World Championships in London. 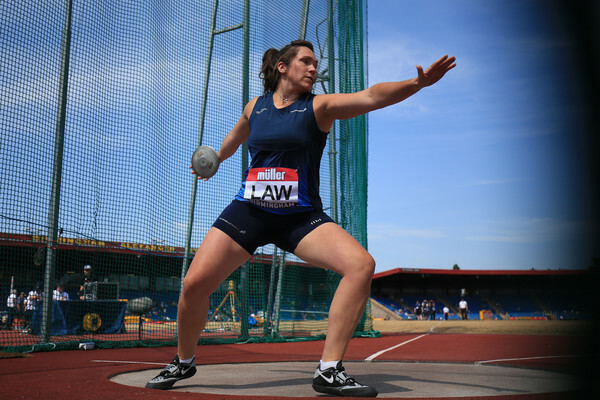 ‘In particular, we would like to thank each of the individual athletes and their personal coaches for their support of the relay programme along with the support staff, and the wider team. Scottish ultra runner Paul Giblin finished second in the ultra trail Algarvarina race – a 300K/186 mile race across southern Portugal. Paul covered the 300K course in 46 hours 15 mins. He finished 2nd to Portuguese legend Joao Oliveira, whose pedigree includes a win at Spartathalon in 2013. Joao opened up a 30-min lead at the second checkpoint and from then on held on to the lead before eventually finishing in little under 41 hours; three hours and nine minutes ahead of Paul. 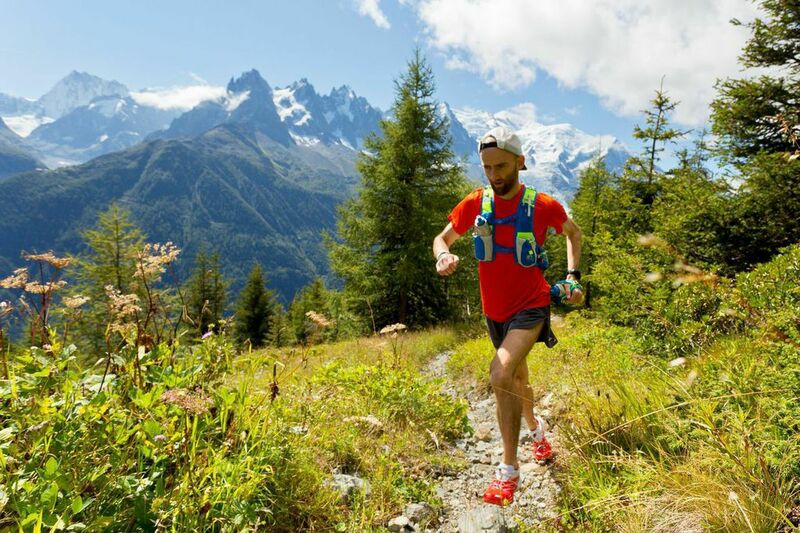 This was Paul’s first foray into this length of race and a successful first step after a long season including races in India, the US and across Europe. The image below shows the range of finishers. 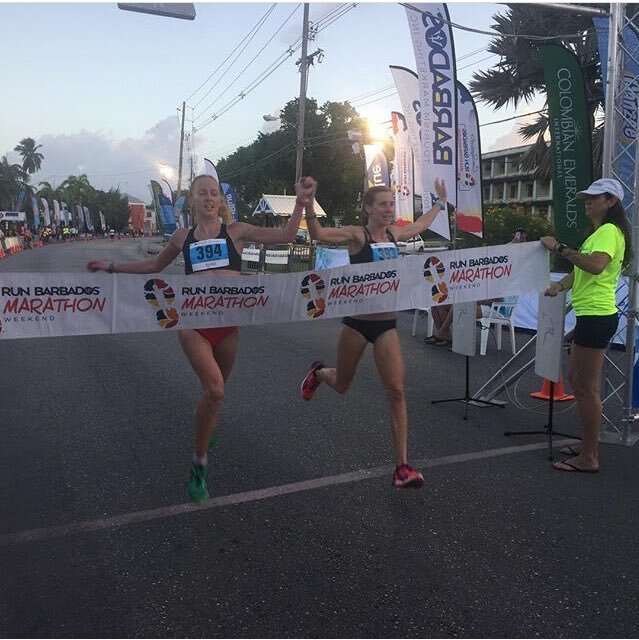 Lothian Running Club’s Sarah Inglis recorded her second half marathon win of the year on the Caribbean island of Barbados on Sunday morning. 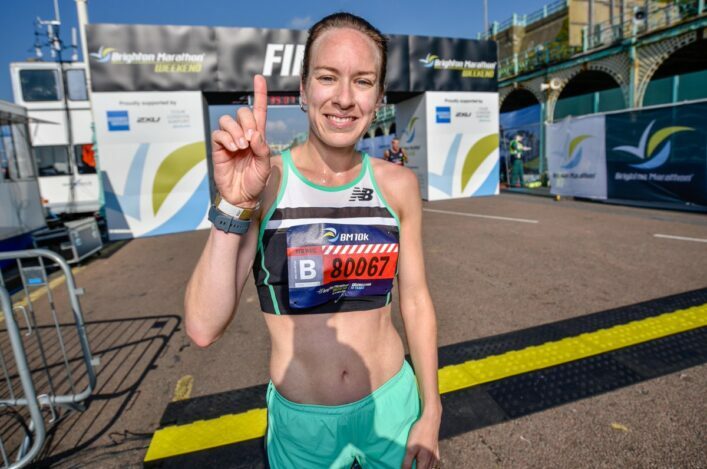 Inglis, who was only called into the elite Canada Running Series squad for the Fortress Half Marathon last week, crossed the finish line hand in hand with fellow squad member Sasha Gollish. This was Sarah’s fourth half marathon of 2017, in each of her previous three she had lowered her personal best. It was not to be on this occasion however with the extreme heat taking a toll. With daytime temperatures reaching 40c in Bridgetown the race sensibly started at 5am under moonlit skies. The two lap course which started and finished on the Bay Street Esplanade saw Inglis and Gollish break the tape in unison in a time of 82.48. Inglis has another half planned in January with selection for the World Half Marathon Champs later in 2018 now looking a realistic target.